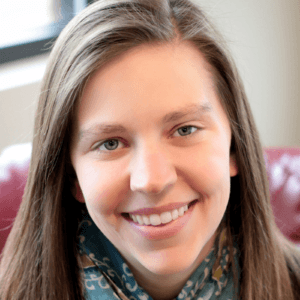 Growth mindset – a phrase that can easily be coined the education fad of 2015-2016. 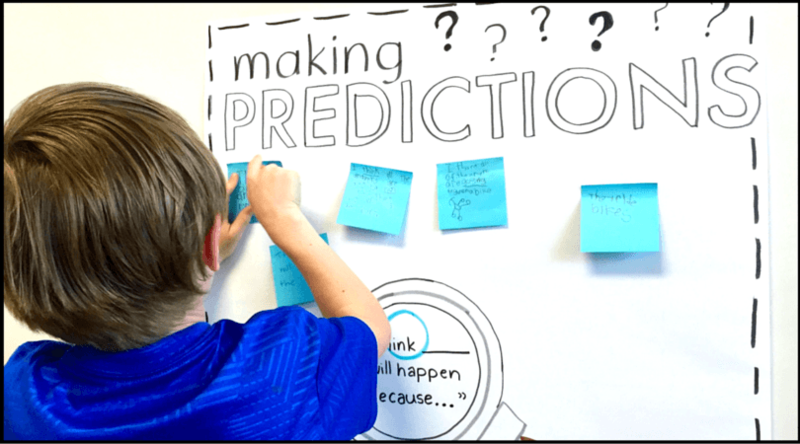 Although I do like to avoid most fads (bleached hair, suntanning oil, and silly bands were all lost on me), why not take the best from the proverbial education pendulum and allow it to positively impact our classrooms? Recently my 1st grade classroom has morphed into a K/1 combination classroom resulting in HUGE gaps (academically, socially, & emotionally) between my students. 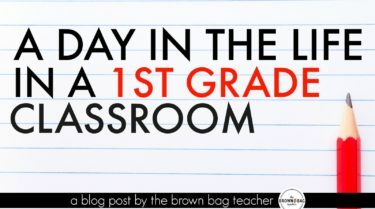 Today I’m sharing one of our most powerful community-building lessons we’ve shared since becoming a combined classroom! 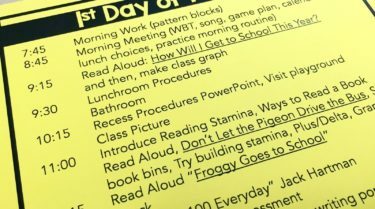 Intentionally chosen read alouds and texts in a classroom have tremendous power. 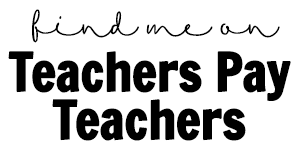 From writing mentor texts, to texts that lend themselves to particular reading strategies, our students need models. 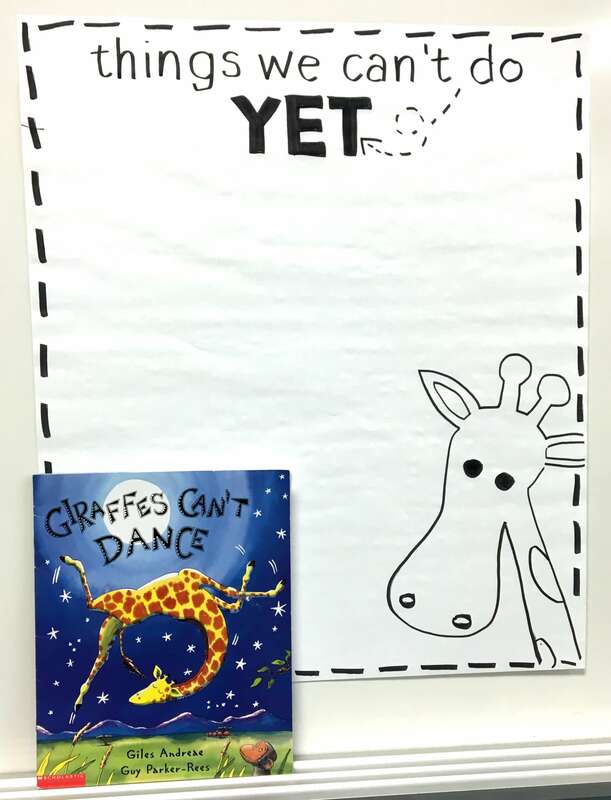 Giraffes Can’t Dance (affiliate link) is one of my favorite read-alouds. It’s a smooth read, include rhymes, and is a perfect platform for launching a conversation about differences in the classroom. 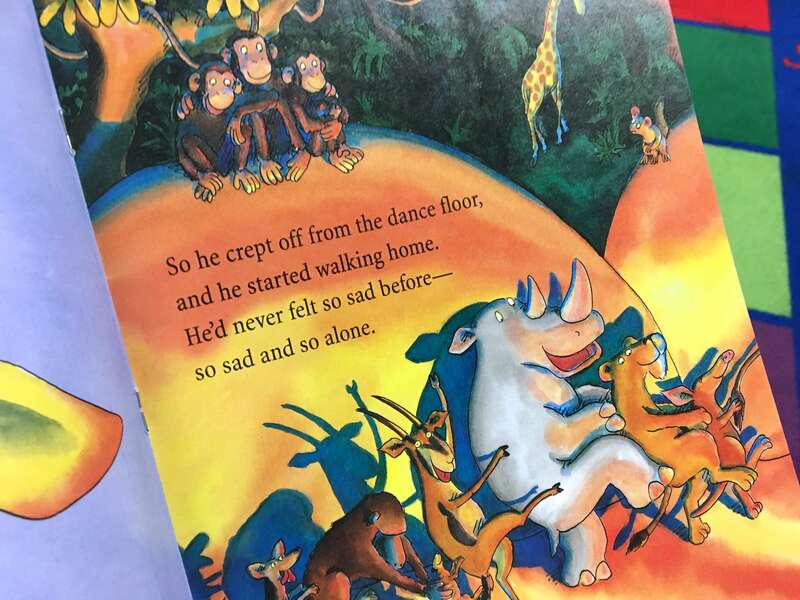 The book centers around a Giraffe who can’t dance like all the other jungle animals and is made fun of because of his lack of dancing skills. Gerald is the perfect character for teaching students about growth mindset! Poor Gerald feels absolutely deflated and knows it’s time for him to leave the jungle dance floor. This is the climax of the story and a perfect time to have a stellar classroom conversation about diversity, acceptance, love, and the power of “yet”. I have a tendency to become involved in books, so I always tag this page with a sticky note, so I don’t blow past my stopping point. This was the place where our first class brainstorm took place – things we can’t do YET. 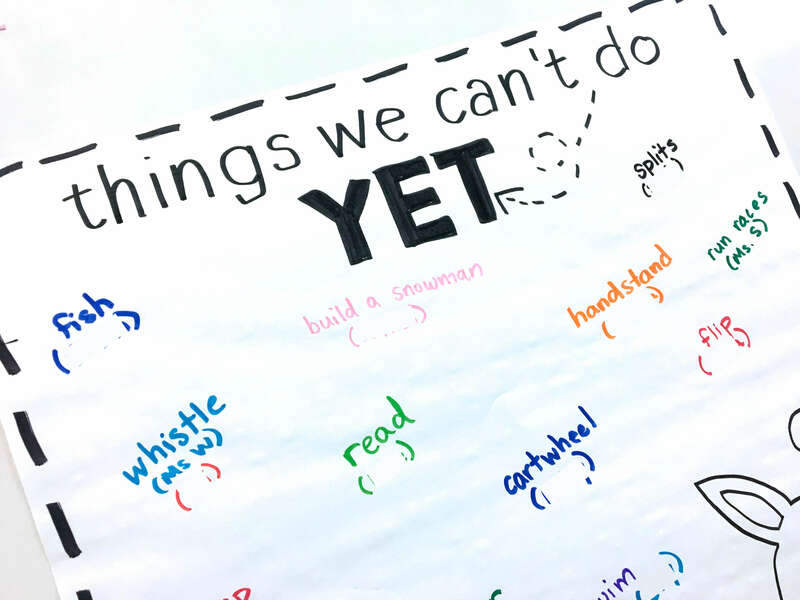 I started sharing with my “Yet” – “I can’t whistle Yet” and recorded my idea on our class chart with my name underneath. Students had a few minutes to think and then, we took turns share their “yets” with the class. From writing words to doing a backflip, we discovered everyone has something they cannot do YET! Then, we continued reading to discover that Gerald soon finds a dance of his own! His ‘yet’ has become a ‘now’. All it took was practice, confidence in himself, and time! After reading students used this graphic organizer to illustrate and make plans for their “yet”. 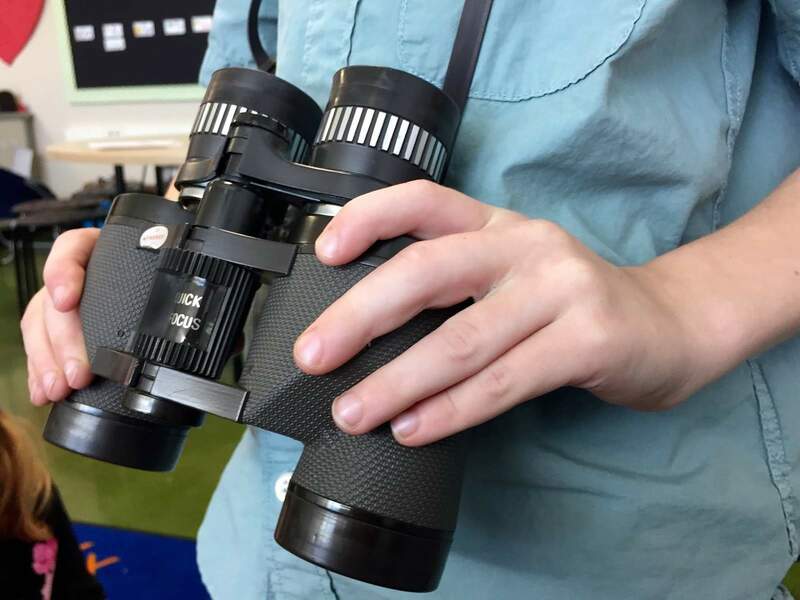 From school to life, students chose their own ‘yet’ and each one was perfect. We shared them together and then, made a classroom Yet Book that sits on our library display shelf. 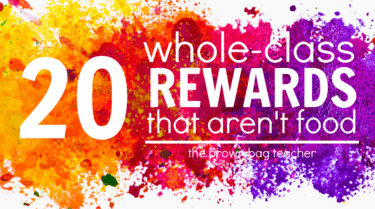 How you do foster ‘yet’ attitudes in your classroom? 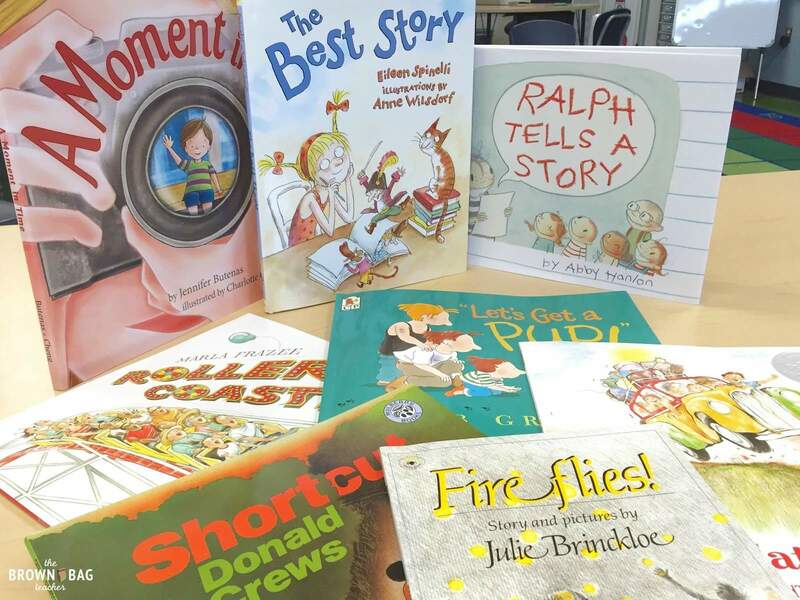 Do you have any favorite read alouds, activities, or sayings? I would love to hear your ideas! Thank you so much for sharing about this book! 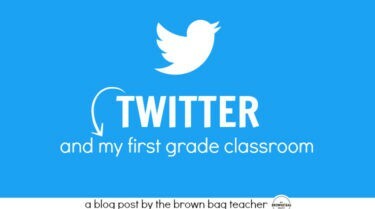 I can’t wait to read it to my students. I just found the animated YouTube video for it. Love your chart and the idea of creating a classroom book with all of the students graphic organizers! What an awesome way to acknowledge each student while allowing them to see what each of their peers is working on getting better at! Absolutely love this and plan to use it. I do a few Growth Mindset lessons with my high needs students during the year. 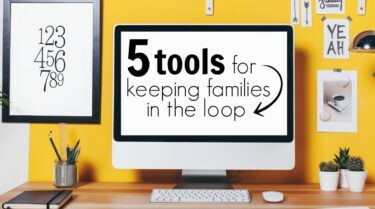 They will love the link between a favorite book and writing/drawing activity. Thank you for sharing! I love teaching growth mindset to my first graders! Love this graphic organizer but it will not open for me. Do you have it in another format or location?! Thanks!! This is a great lesson! Do you have a link for the brainstorming page.? 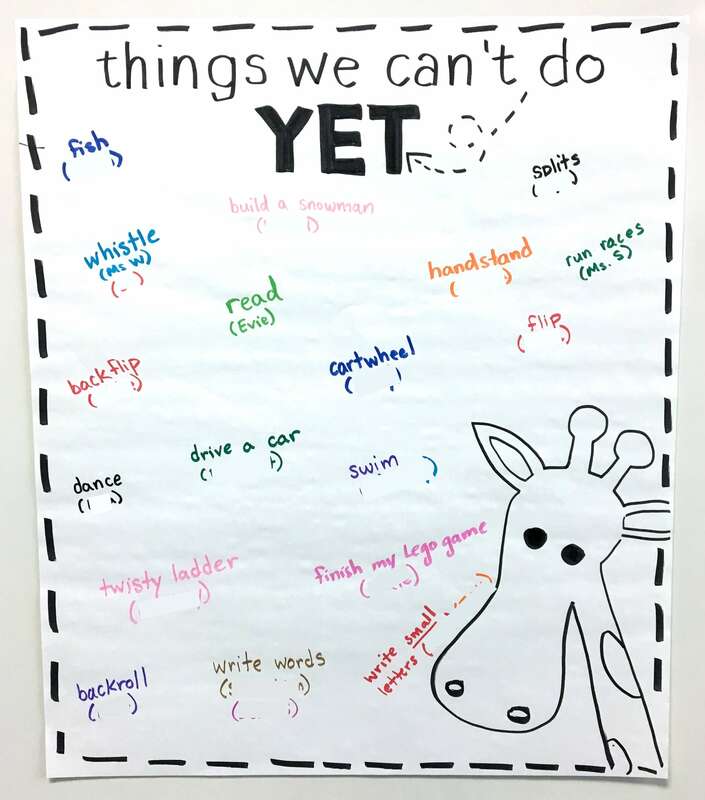 Things we can’t do YET? Thanks! I am in love with Yet! Thanks for this! I just discovered the book “Making a Splash”. 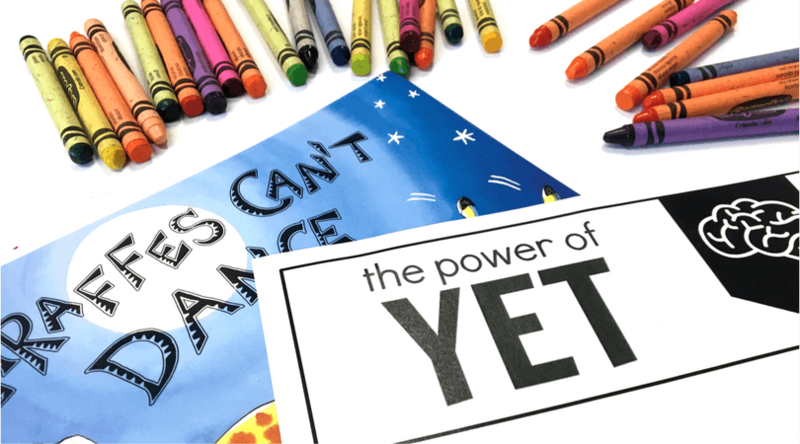 I love it for teaching mindset and the power of yet. Thanks so much for the inspiration. We are looking at Growth Mindsets and this is a perfect lead in to our Goal Setting. I can see the link to the organsier but not the chart? Is this available for sale? Hey Sam!! I just drew the chart on Anchor Chart paper. Sorry! Thanks for this post! 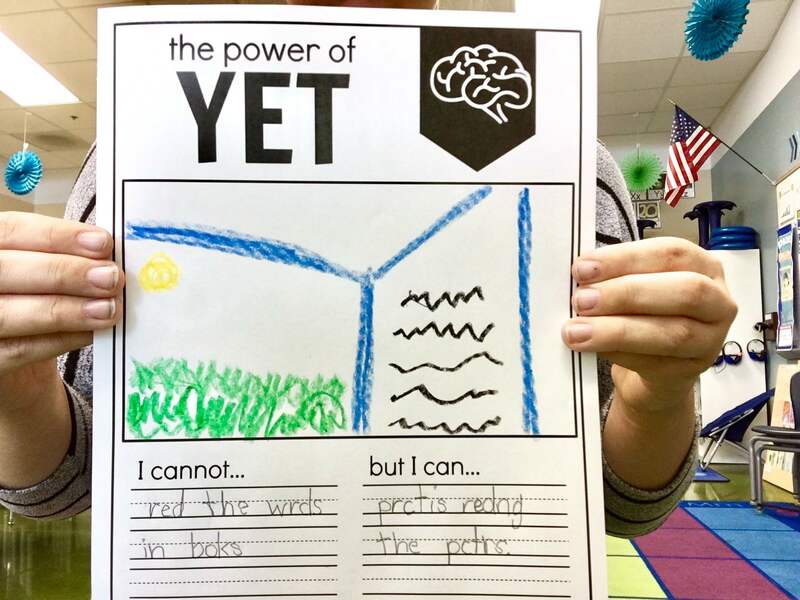 I am currently teaching my K-5 students about Growth Mindset and the Power of Yet has really resonated with them! I incorporated the children’s book, “The Dot” By Peter Reynolds and it has been awesome as well.